Hey guys. So It was my turn to cook this past weekend for our little family gathering with my grandmother. I decided to cook lasagna and It was Da Bomb!! 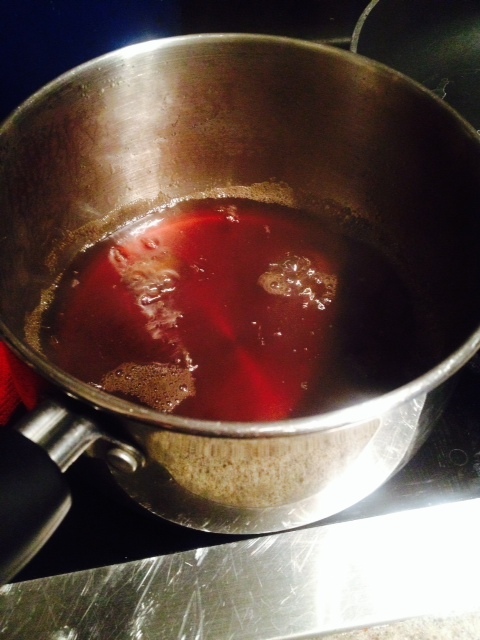 (If you want my easy quick recipe; leave a comment). But I knew some how I had to incorporate something semi-Mexican for my Abuela. So I decide to make my version of Camote Enmielado (Candied Yams). I originally got this recipe from my sister-in-law several years ago. I fell in love with it when she made it for one of our Thanksgiving parties. So here is my version of her version. LOL Super easy and quick to make. This recipe makes enough for 10-12 people. 1. 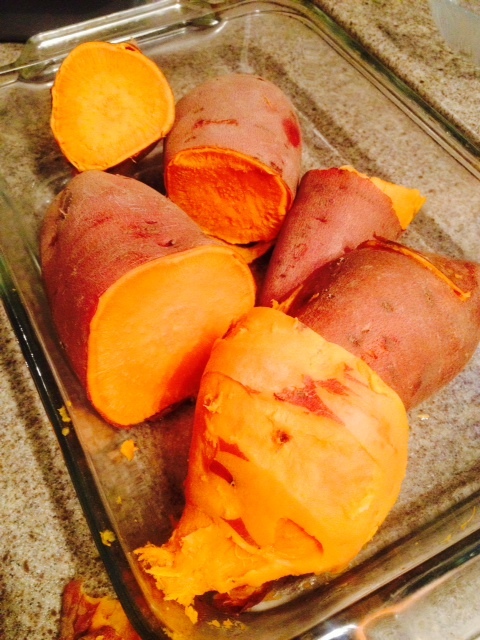 Cut the yams into smaller pieces and boil until soft. 2. Boil the piloncillo with a little bit of water until it melts completely. Let it boil for about 5 mins. after is has melted away. 3. 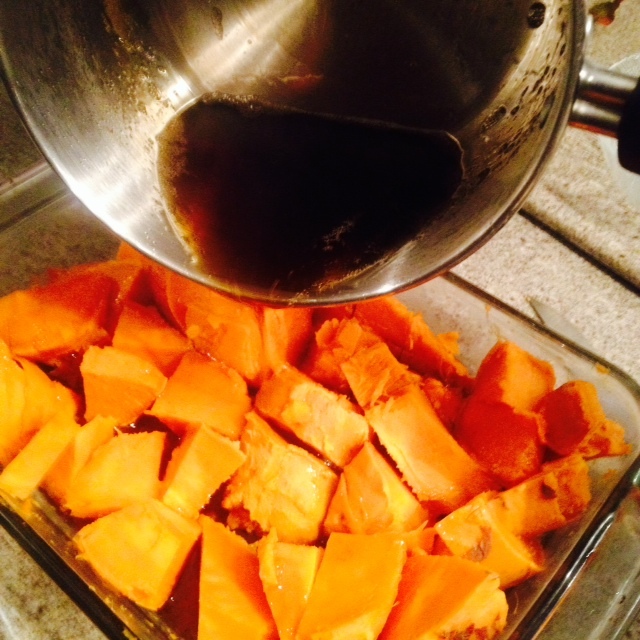 Peal and place yams in a pan. 4. Pour the piloncillo on the yams. 5. 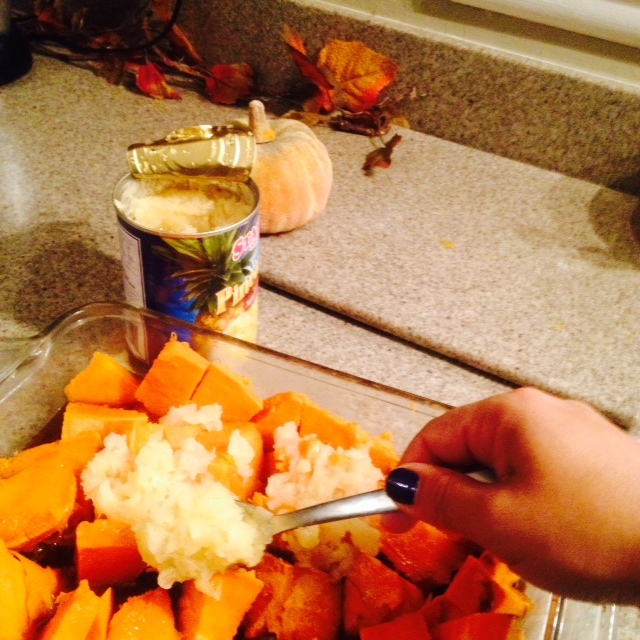 Add the crushed pineapple all over the yams. 6. Sprinkle in some brown sugar on top. This is optional. I added some but think It could have done with out. If you don’t have piloncillo in your area; just use brown sugar. 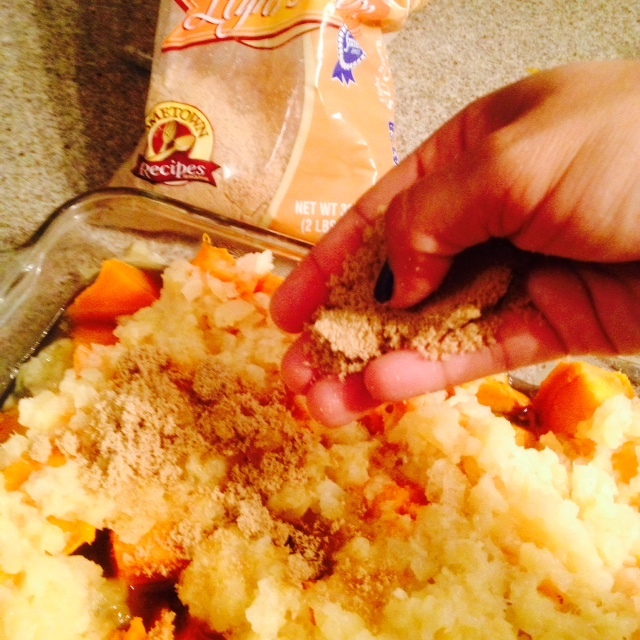 Sprinkle about 2 cups of brown sugar or as desired. 7. Bake for 30 mins at 350 degrees. And Bam! That’s it! It was so good and Abuela approved. If Abuela approves then I’m good to go! She actually served herself a plate and commented that the pineapple made it very tasty! Ok guys! Have a wonderful Thanksgiving! May we remember to thank our Lord for all the things He has done for us and for those things that are yet to come. Dios me los Bendiga hoy y siempre! ps Let me know if you actually make it and send me some pix!